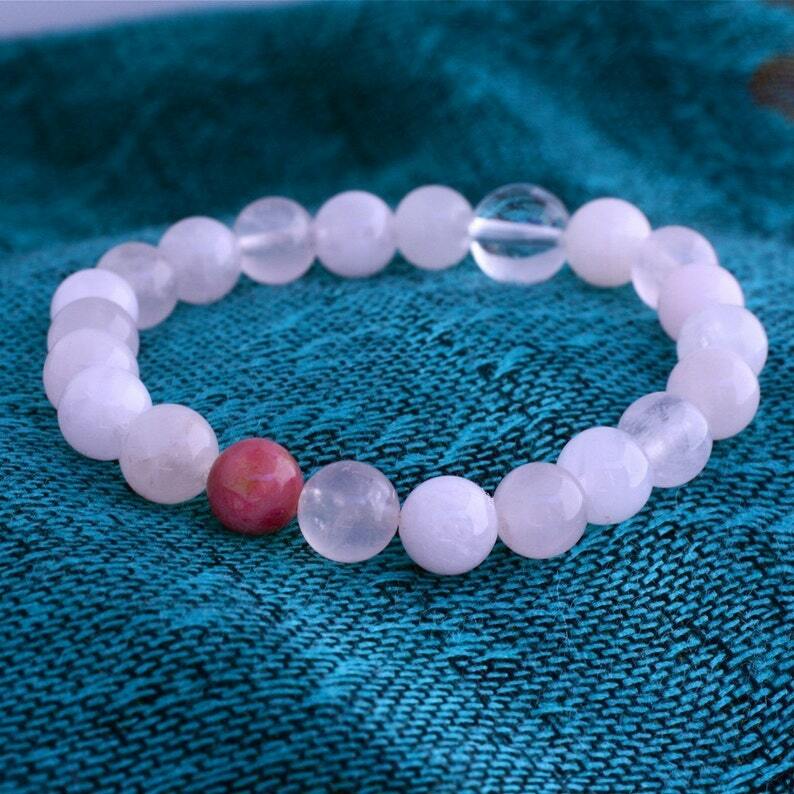 This rose quartz wrist mala combines two of the most powerful heart stones, Rose Quartz and Rhodonite, in a light pink mala that is a meditation on love and compassion. Perfect for daily wear or meditations. Twenty pale, undyed rose quartz beads with one deep pink rhodonite bead and one larger quartz crystal bead as guru bead. Strung with love and prayer on stretch bead cord. 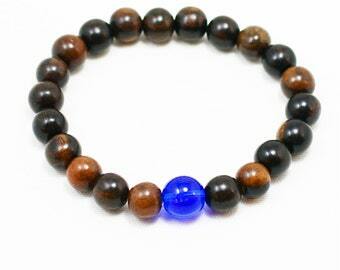 This wrist mala fits about a 6.5 inch wrist or 16.5 centimeters. Can be enlarged by half inches, just contact me. Tax will automatically be added to California sales.